It's CMON's release day for the latest board games. This time around, they've got a new medieval-based one called Richard the Lionheart. Be a part of either Robin Hood's band of merry men or throw your support behind Prince John. When Richard returns from the Crusades, only one side will be victorious. There's also a new set of heroes for the Blutrausch faction in Rum & Bones. Finally, Massive Darkness gets a massive release, with three new sets. Lots of releases coming out today. CMON's got several, themselves. If you're a fan of Rum & Bones, there's a new faction, some new mercenaries, as well as some deep sea creatures available. If you're a fan of simple bluffing games, there's Kronia, which is one I personally enjoy. These are available now at your LGS as well as online. 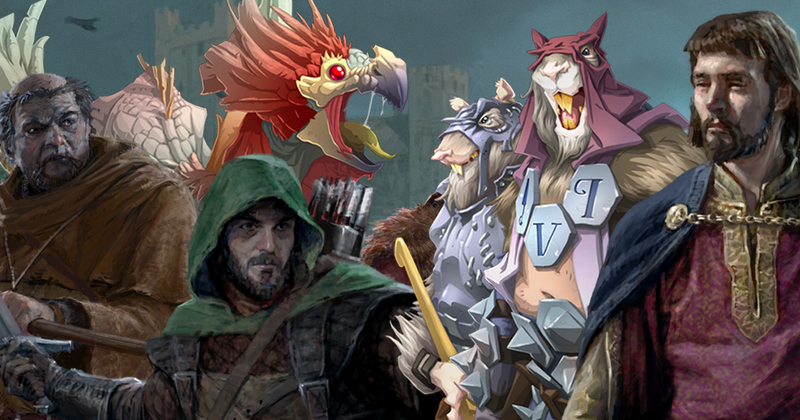 It's release day for a bunch of new games and expansions from CMON. That includes one of my new favorite games, Ethnos. 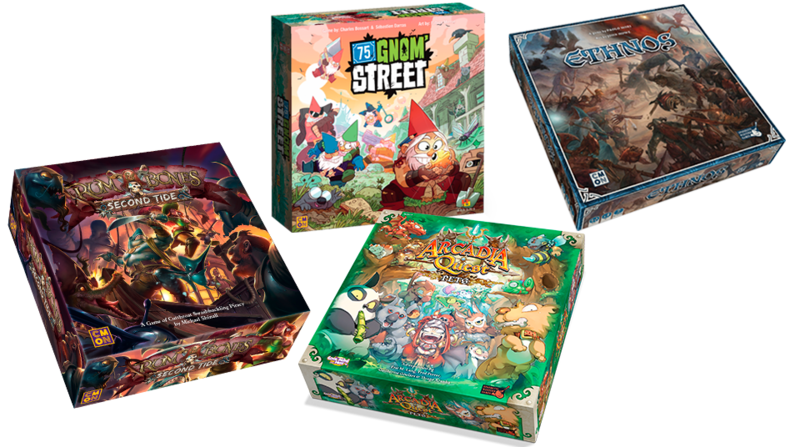 Other than that, Rum & Bones 2nd Tide, the Pets expansion for Arcadia Quest, and 75 Gnom' Street are all available now down at your gaming shop. In a group of individuals as you have when dealing with those involved with piracy, you're going to come across the ones that are just in it for themselves, trying to get as much money as they possibly can, their other crewmates be damned. Normally, such a character on board a ship that requires teamwork to operate is a bad thing. But if the individual is sufficiently skilled, it may be worth the risk to have them along. Such is the case with the Cutthroats, a new set of mercenary figures that are a new add-on for the Rum & Bones Kickstarter. So the other day we had the Blutrausch Legion added to the Rum & Bones Kickstarter campaign. It's a whole new Orcy faction that you can have join your high-seas adventures. But what if you want more than just the basic set? Well, that's where you can pick up the Blutrausch Hero Pack 1 as well as some Dice. Yo, ho, ho, and a bottle of Sobe Citrus Energy (being a teetotaler, I don't drink rum. And besides, the vitamin C will help stave off scurvy). The wild winds in the world of Rum & Bones has brought forth some strange creatures in this Kickstarter campaign. There's been the denizens of the deep. There's been the fairy tale crew. Now the greenskins are getting into the action with the Blutrausch Legion. Also, I'm glad I just have to type Blutrausch and not actually say it, since I have no idea how to pronounce it. 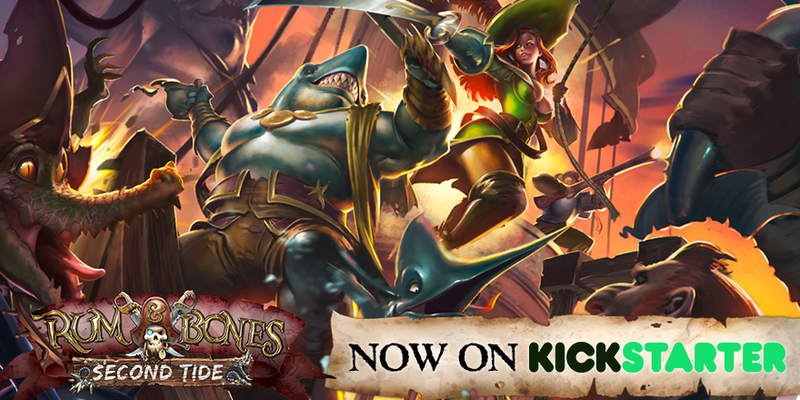 It's time for another update for the Rum & Bones: Second Tide Kickstarter campaign. It's been going swimmingly so far, but it's time for an addition. The seas have been known to turn people a bit green. Well, the characters in the Tusketeers add-on don't need any help with that. Arr, mateys! Give me timbers a coat and a cup o' soup, because they be cold. They be shiverin'! And I be standin' behind that joke all the way. Standin' behind it because when ye be throwin' the tomatoes, they be hittin' the joke. Ok, enough of that. The Iron Inquisition, a new faction, has been added to the Rum & Bones Kickstarter. 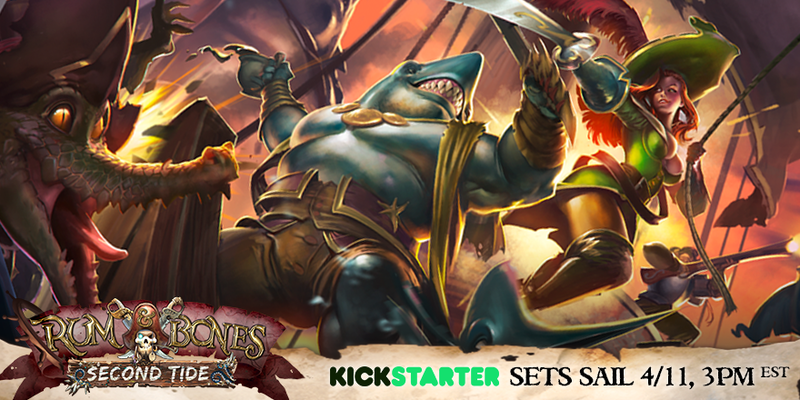 The Rum & Bones: Second Tide Kickstarter has been sailing steadily for the past couple days. They passed their funding goal in mere minutes and have been unlocking stretch goals since then. Now they've started posting up some optional buys as part of the campaign. This one's a new pirate crew, the Fairy Tale Pack. Arr, mateys! The winds of fate be blowing our direction! The seas be just right to set sail! Hoist the misenmast! Batten down the hatches! Buckle all swashes! It's time for the second tide! And that's just what's going on over on Kickstarter. CoolMiniOrNot has launched their campaign for Rum & Bones: Second Tide. Rum & Bones: Second Tide is coming to Kickstarter in just a couple days. It's more than just an expansion, it's a bit of a revamp of the whole system. Not a total overhaul, but a revamp. They've posted up a new preview video for you to check out. 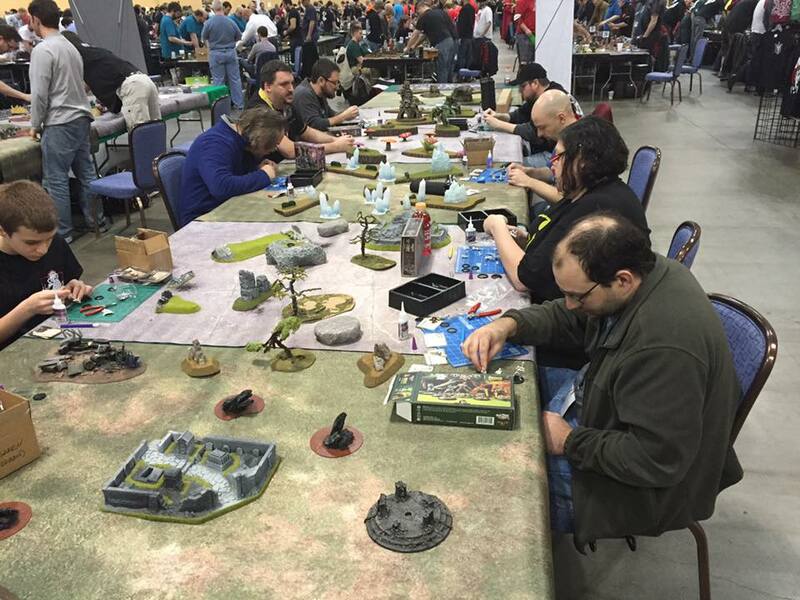 At Adepticon, people are able to stand around and chat with game designers about the upcoming projects they have been working on. But that's a pretty rare thing, in general. Not everyone can make it out to a show. And then, the designer might be busy or such. Panels are one way you can find out about stuff, but you still sort of have to be there. It's a good thing, then, that the internet is a thing (since, you know, I also work there). Designer Michael Shinall recently did an Ask Me Anything (AKA - AMA) on Reddit. Me be thinkin' about it, my less-than-rested brain be servin' me well for talkin' like a pirate, matie. Avast meharties! Thar be a Second Tide off the port bow! She's comin' in fast! Hoist the misenmast! Batten down the hatches! Buckle all swashes! 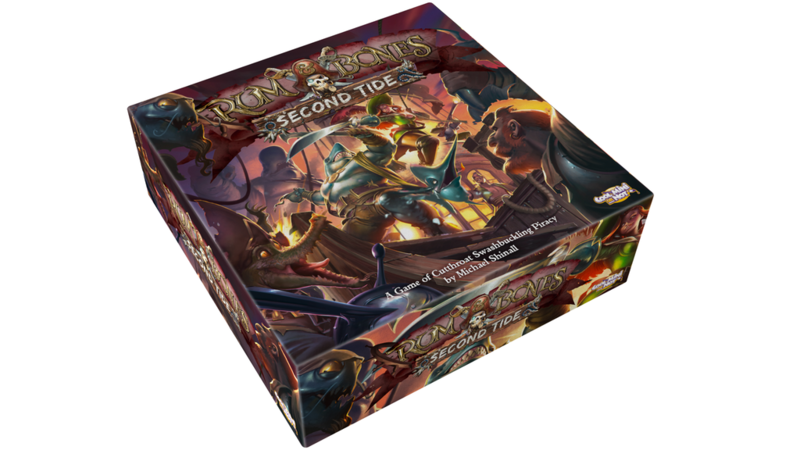 And get ready to set sail with Rum & Bones: Second Tide on Kickstarter on April 11th. It's day 3 here at Adepticon. It's been a wild day... and I'm not even talking about the gaming. 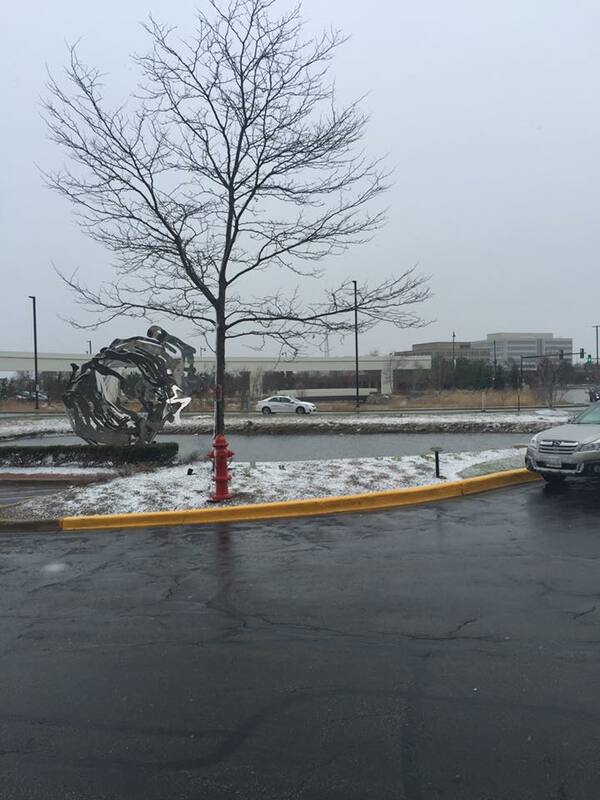 We woke up to some lovely weather. And then, just about 10min. ago, for about a minute, the lights all went out in the dealer's hall/gaming area. I just missed snapping a photo of everyone gaming for a moment via cellphone flashlight. Anyway, what I did grab photos of were... a bunch of things. 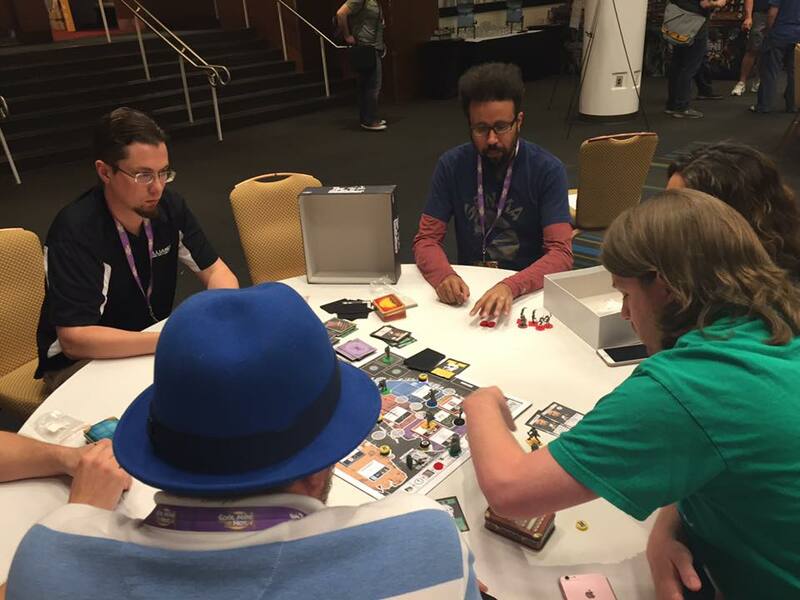 Well, we just had the Masmorra: Dungeons of Arcadia Kickstarter end last night. As has become somewhat customary, with the end of one project comes the announcement about the launch of a new one. CMON has given us a look at the next Kickstarter project they're going to be running and it's Rum & Bones Second Tide. We're just a couple weeks into the new year. Just in time for the convention news to really start heating up. Though May may seem like it's far away, it'll be here before we all know it. As such, CMON Expo gets the ball rolling on this year's announcements about who will be there and what sort of fun stuff you can expect once you arrive. Yo ho ho ho! Merry Christmas! And a bottle of rum! I think that's how it goes, anyway. It goes that way for the duration of this story, anyway, since CoolMiniOrNot has released a limited-edition version of Albrecht up in their webshop. 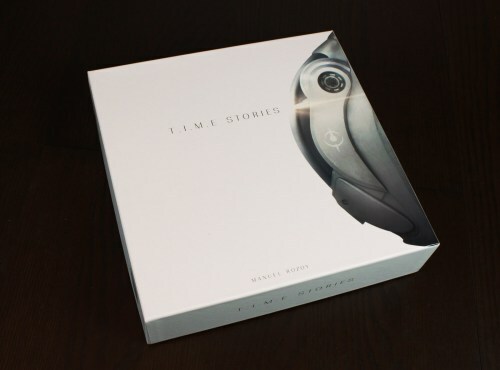 December rolls along and CoolMiniOrNot keeps coming out with more and more cool stuff. This week is no different. For those that are playing Blood Rage, Rum & Bones, or Dark Age, you'll want to check out the new goodies that are available over in the webshop. There's still time to possibly get them before the end of the year. Avast ye maties and shiver me timbers! 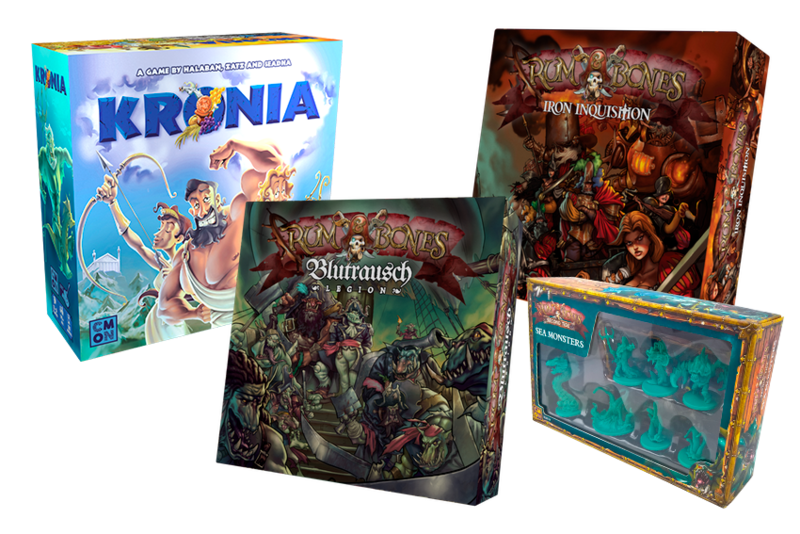 Thar be new releases for Rum & Bones afoot! Yar arr yarr! I loddie the hotpants! Ok, enough pirate-speak. Talk Like A Pirate Day is over with. What isn't over with is the release day for Mazu's Dreadful Curse for Rum & Bones. That's happening all day today. And, y'know, you can pick it up after today, too. Grab your grog and get ready to set sail. 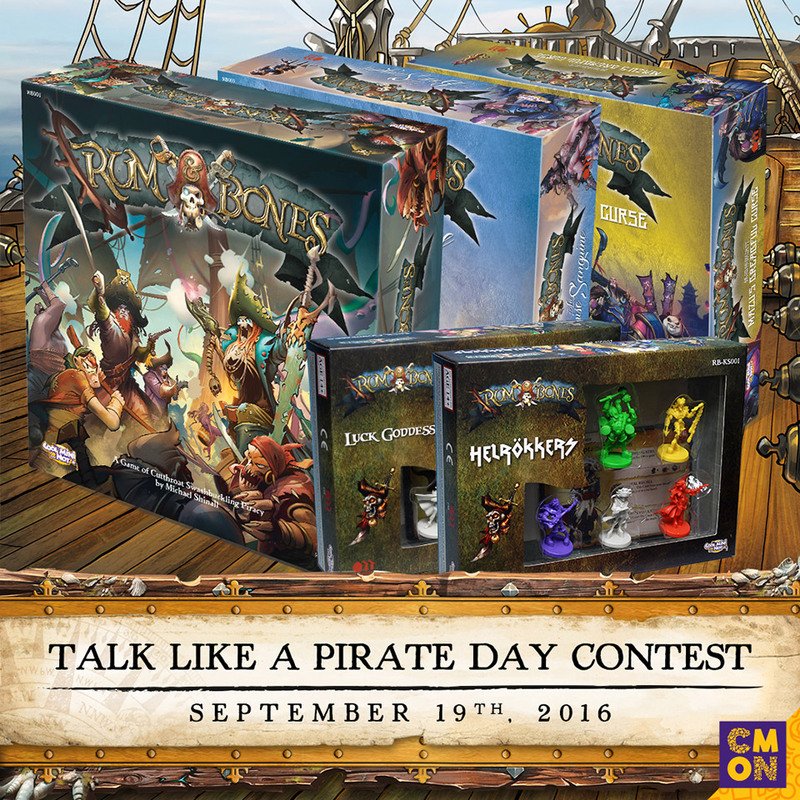 Rum & Bones, CMON's pirate combat miniatures board game is available online and at fine gaming stores near you. If you like MOBA-style video games, then the gameplay for Rum & Bones should be right up your alley. Batten down the hatches! Hoist the main sail! And other pirate cliches!